This article is from the April–June 1994 AFRMA Rat & Mouse Tales news-magazine. So you’ve heard of dog shows, cat shows, and maybe even rabbit shows, but RAT and MOUSE SHOWS! The first thing to come to the minds of many people is we must dress them up or put a leash on them and walk them around the judge. In reality, rat and mouse shows are run very similar to rabbit or cat shows. We place each animal in a show box and put it on the table with others in its class and the judge examines each one, looking for what the body structure looks like, how well the markings are if the class calls for them, what the physical condition of the animal is, how the coat lies, the shape of the ears, size of eyes, length of tail, shape of the head, overall size, and above all temperament which is very important. In the PET CLASSES, animals are judged on its condition and personality. At a PET SHOW, dedicated to just pet rats and mice, there are lots of fun classes. Anyone with a pet rat or mouse may enter in any of the many different categories. AFRMA has classes such as Most Affectionate Rat, Cutest Mouse, Most Laid Back Rat, Biggest Rat, Rat Races, Friendliest Mouse, Most Unusual Markings (rats and mice), Best Trick rat and mouse, and even Costume Classes for rats or mice where you dress up your favorite pet! There are many rat and mouse organizations around the world. Each one has slightly different Standards, rules, classes, and procedures, so check with your local club first when it comes to what classes are offered and how to enter. Following are suggestions for choosing, preparing, and classifying your show stock before the show based on AFRMA rules and procedures. It is recommended that you purchase your stock from a reputable breeder who will help you pick out a good show animal. They can also answer your questions and help you get started showing. A rat and mouse show is a good place to find such a person as there are usually many show- and pet-quality animals for sale and several breeders to talk to and choose your animals from. When looking through your stock for a likely show candidate, you will want to select one of good conformation as well as good color, remembering that the overall conformation is worth as many points as color. You will want to refer to the standards of the club putting on the show for a description of color, markings, and variety requirements for your animal, and make sure the animal matches the standard. (i.e. don’t enter an animal as a Self if it has a white tail tip or white on the chest or other area, as Self means all one color). Mice are at their best for showing between 8 and 14 weeks old; rats between 10 weeks and 6 months. Animal was obviously sick, defective, or in poor condition. Usually these animals fail the health check. Animals which are eliminated for any of the above reasons do not get a judging card filled out with the judge’s comments, which is what a lot of fanciers need in order to learn what is good and bad about their animal. Condition and Health. The coat should lie smooth and flat against the skin and have a glossy shine. The eyes must be wide open, bright, and clear. There must be no sores or scabs on the skin or live things such as mites or lice. Lice look like white nits on the hair that don’t come off when you brush your hand on the fur; mites move. Breathing must be normal. If you hear any rattling, wheezing, sneezing, chirping, etc., your animal has a respiratory condition, needs medication, and must be left at home. Any time you take your animals to a show or other place, they are put under stress and if they have any respiratory condition, it will only make it worse and your animal may die. The animal should be neither too fat nor too thin. The overall condition is the very first thing the judge notices when looking at your animal, and it is no use entering an animal which has a coat standing up all over or looks as if it has been chewed on or has a runny eye, etc. Everyone can judge the condition of his or her own animals. An animal in good condition looks good, feels good, and should appear to be bursting with good health and vigor. Body Parts. Check that all toes are whole, whiskers are all present, ears are not nicked or split, tail is not kinked, etc. ; in other words, all parts are there and in good shape. Any problems like these will keep the animal from competing. Temperament is very important. If your animal is trying to bite you or jump off your hand, leave it at home since the judge cannot give comments on an animal he/she cannot handle. Every animal has to be tractable in order to be judged properly. Frequent, gentle handling may help quiet down your animals before a show, but temperament is basically inherited. Remember, when choosing your breeding stock, if you use wild, biting animals for breeders, you will get more wild, biting offspring. ...be sure to READ the entire show schedule. You can save yourself some questions this way. Cleanliness. You will want to choose your animals for the show several days in advance so you have time to prepare them to be shown. Attention must be paid to cage cleanliness, and you will want to be sure the cages are kept cleaner than normal during this time. If the animal is in any way dirty, wet, or stained, you can be sure the judge will see it. Also, the type of bedding you use may affect the coat. Pine and cedar are not only toxic, but may cause staining in the coat. There are many non-toxic beddings available that are safer to use. Feeding before the show can include a small amount of oily seeds such as sunflower, linseed, or budgie mix. These will put a shine on the coat if the animal is already in good condition. Don’t overdo it however, since you don’t want a greasy appearance, just a shine. Be aware that dog food can give some mice a greasy-looking coat, and seed mixes and dog food may cause scabs on some rats, so be careful in what you feed as the basic diet. Lab blocks are the best diet to feed your mice and rats. They are a completely balanced diet, and you normally don’t have to feed anything else with it. Bathing. You may bathe your rats if they get stained, have an oily coat (males mostly, they sometimes develop a yellow skin and oily coat), or are just plain dirty. Your white and light colored rats will usually need a bath prior to every show, even if you keep the cages super clean all the time. You can use a bluing shampoo made for cats and dogs which will help get them sparkling white. Bathe your rat about a week before the show as this will allow the animal a few days to get some of the natural oils back in the coat. Use a shampoo made for cats or baby shampoo. When bathing, use the bathroom or kitchen sink, a bucket, or a dishpan. You can either give the rat a bath or a shower depending on which works best for you and your rat. If giving a bath, only put a couple inches of warm water in the sink. Holding the rat with one hand, scoop the water onto the rat with the other. If you give a shower, hold the rat under the running water to get it wet. Use a small amount of shampoo and lather well, remembering to keep the soap and water out of the ears and eyes. To clean the tail, a soft toothbrush works well. If your rat is really dirty or stained, you may need to repeat the shampooing or use a toothbrush in the soapy coat to comb through and get really clean. Rinse well, squeegee off the excess water, and towel dry. You can then let it air dry or use a blow dryer to completely dry it off. If you use the blow dryer, the rat can sit in your lap or if he fusses too much, try placing him or her in a small wire cage or your show box and blow dry through the wires (make sure the rat doesn’t get overheated). Don’t forget to wash the rat’s cage and use fresh, clean bedding before placing your rat back in its home! Show Boxes. Most clubs use show boxes or show cages, but again check with the club putting on the show as to their requirements. This is a good time to prepare your show boxes. Make sure you have enough boxes and that they are CLEAN inside and out. You will want clean bedding in each one making sure to use ENOUGH bedding so that the animal feels comfortable and secure. AFRMA requires exhibitors to use the aspen shavings available at each show. A mouse in a bare cage is very frightened, and within a few minutes will appear to be in poor condition as it huddles miserably in a corner of the cage with its eyes squinted and coat standing up against the cold. Not much there for a judge to be impressed with! You will receive a Show Schedule 2 to 3 weeks prior to the show provided you have requested to be on the mailing list for the show information. This schedule lists classes, directions, show rules, etc., so be sure to READ the entire show schedule. You can save yourself some questions this way. You should know what class to enter your animal in after reading the standards. As a member, you will receive the Standards, or you may purchase them for a nominal fee. Have the Standards in front of you and LOOK at your animal. (Keep in mind that many of the same colors are named differently in different clubs.) First decide on what color/marking it has. (Example: For a Cinnamon English Irish you will list it as “Cinnamon English Irish”; for a spotted mouse you might list “Black Broken” or “Blue Dutch,” whatever is correct.) If you are not sure on the exact color of your animal, make a note on your entry blank that you need someone to look at your animal the morning of the show; just be sure to list the name/number and all information you do know on your entry ahead of time. The most important thing in showing is arriving ON TIME. Some exhibitors fail to read the standard as to type of animal they have and then proceed to enter it in the wrong category, only to have the judge eliminate it. If you read the standard, you shouldn’t make such a mistake. Next, you determine which Section to enter it in under the SECTION heading. This will be determined by the coat pattern of your animal. (Example: a Tan belly on a mouse will be entered in the Tan & Fox Section, a Cinnamon English Irish rat will be a Marked.) Next you will determine its VARIETY. (Example: a Long Haired mouse will be entered as a Long Haired, a Tailless Rex rat will be entered as a Multi-Variety (MV) in the Variety column and list Tailless Rex in the Multi-Variety Desc. column (added 1-7-13).) Non-Regular is for listing the miscellaneous classes (i.e. Unstandardized, Unstandardized Breeder, Kitten, American Mouse, Breeder’s Group, Brood Doe, Most Matched Pair, Progeny classes—Get of Sire and Produce of Dam, Stud Buck, Youth Show, or English (at the January show only). For Pet Classes we have a separate Entry Blank. BRED BY/STUD NAME is where you list who bred the animal and that person’s Stud Name. For example, if you bought one animal from Karen Robbins, then you would list “Karen Robbins/Karen’s Kritters.” If you bought another animal from someone who may not have a Stud Name, then just list that person’s name. If you bought an animal from a pet shop, then list “Pet Shop.” Or, if you bred it, then list your name and Stud Name (if you have a Stud Name). Remember to always spell out these things, DON’T just list initials for a Stud Name. There are so many Stud Names out there, and some may not be listed with AFRMA, that it may be impossible to give the proper credit to the person who bred an animal that won a class. All animals including Kittens (rats between 6–9 weeks of age, mice between 5–7 weeks of age—age change 4-25-09) are to have their birth date listed on the Entry Blank in the Birth Date column (added 1-7-13; amended 12-6-14 to include all animals, not just kittens). Pet classes need the name of the pet, its description, and which class it will be in—“Adult” is for exhibitors age 18 and over, “Youth” is 17 and under. Fill out all the bottom, making sure you list number of entries, rental boxes, sales permits, form of payment, etc. Don’t forget to include what/how many sale animals you will be bringing and e-mail their pedigrees/birth certificates to the Show Secretary. Make sure you e-mail your entries to the Show Secretary so he or she gets it before the deadline! You will send in your payment either via PayPal or Money Order. Details in the online entry system. Breeders should be testing new stock brought in as some diseases have no symptoms. The most important thing in showing is arriving ON TIME. Make sure you allow plenty of time to get to the show place before the deadline. Many times you will find that weekends are the time construction is done on the freeways and you may have an extra half- or one-hour delay. If you find you arrive early, go have breakfast or help with setting up the show area! Usually, many exhibitors arrive at the last minute and by the time everyone is checked in and the animals are health checked, that delays getting the show started on time. Don’t grumble to the show secretary or other official about a late-starting show as they are already overworked as it is! Do your part and get to the show 15 to 30 minutes before the deadline in the Show Schedule because it takes time to get checked in. This will make it a much more smoothly running and enjoyable show all around! On arrival to the show, you must get your animals health checked, pick up your paperwork, get your questions answered, make any changes you know about, and pick up your rental show boxes. Health Checking: ALL animals (show or otherwise) at every AFRMA show must be health checked and approved by an AFRMA representative. If any sick animals are found (any illness or problem that would normally take the animal off the show table, e.g. respiratory, scabs, etc. ), we will require that the entire cage be set aside (divided wire cages to be considered as one cage) and none can be shown out of that cage. Update: Animals are to be brought in individual solid-sided carriers. [Effective September 15, 2018] Colored dots will be used denoting whether the cage passed or didn’t pass. Yellow is OK, blue is NOT OK. Cages not passing the health check will be put behind the sales table until the end of the show. If the health checker finds any illness or problem with your animals, make sure they explain what the problem is and how to solve it. Members are responsible for selling their own animals or other items in the designated selling area and must be present to do so. Sale animals should not have anyone handle them other than people serious about buying them. Buyers are not to handle sales animals without first using a disinfectant on their hands. Each seller is to have a spray bottle of disinfectant and paper towels and have anyone looking at their animals to clean their hands first before handling. [8-2-18] An Exhibitor/Sellers Form must be submitted prior to/with entry. All animals/items for sale MUST be inside on the Sales Tables. Sales/delivery outside the building is NOT allowed. You are required to buy a Sales Permit (sticker) at a flat rate of $10 per person per show or a Yearly Sales Permit for $30. You must be signed up to sell and paid for by the show deadline. You will receive stickers for each cage of sale animals and for each group of other items. See the Show Secretary upon arriving at the show to pick up your permits. All other rules about selling will apply (i.e. must be a member, animals health checked, minimum of 5 weeks of age mice/6 weeks of age rats, of good temperament, using the minimum selling price, hand out brochure with each animal sold with your name and phone number included, etc.). Bring a pedigree or birth certificate for your animals (e-mail copies to the Show Secretary prior to the show)! 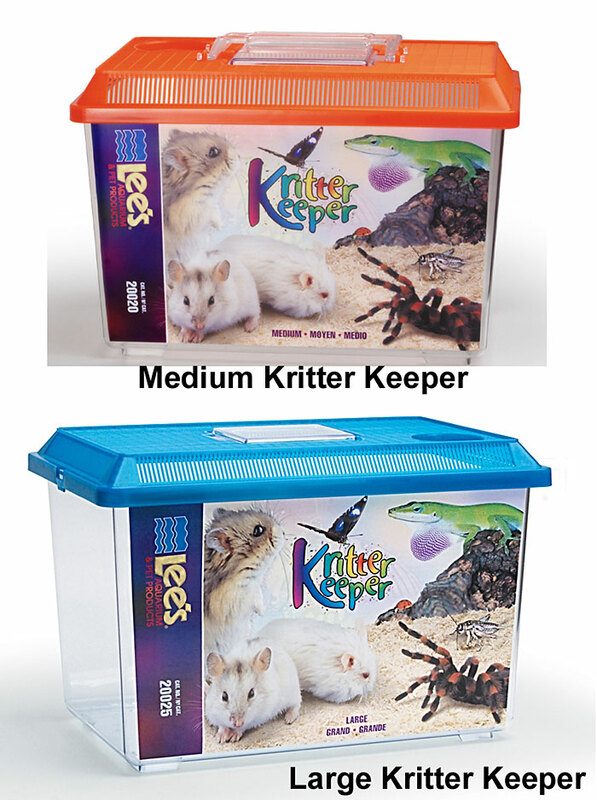 It is best to plan your litters so that the babies are at least 5 weeks the day of the show for mice/6 weeks for rats. After you get to the show, before your class is called to the judging table, you may groom your animal with a silk cloth or a shaving brush if you like, to remove any stray specks of dust. Animals may not be groomed or touched after the show box is set on the judging table. When it is time to show your animals, the steward will call the class. You will put the small ID slip for your animal in the clip on the show box, place the animal inside, and bring to the table. Find the judging card with your animal’s name/number on it and place the box in front of it. If any of your animals are not to be shown, please let the steward know so you aren’t holding up the judging. While judging is in process DO NOT TALK TO THE JUDGE, nor make any remark in his or her hearing which lets the judge know which animal is yours. Also, keep your conversation down around the judging table as this is distracting to the judge and is considered very bad form at any sort of animal show. The judge will be happy to answer any questions for you after the judging is over. If your animal has been eliminated from competition, after the class you may ask questions before the next class begins. If for some reason you need to take your animal off the table during the judging because of the condition of the animal or temperament, ask the clerk. You will forfeit any awards that animal would have won, but sometimes it may be necessary for the safety and well-being of the animal and judge to do this. The judge may also request that the animal be removed for these same reasons. If your animal has won first place in its class and is still in competition for Best in Show, you must not indicate which animal is yours, nor take it off the table unless the judge has asked that it be removed because of lunch. All animals that are ready to be removed from the table are either placed in another spot or the clerk will indicate that it is time to take the animals back. These shows are run the same as a regular show except the classes are all fun classes and the entries may be made ahead of time or on the day of the show (see the current show schedule). You may enter your pet rat or mouse in several classes (such as Best Pet Rat, Most Affectionate, Costume, and Most Unusual Markings or Best Pet Mouse, Cutest Mouse, Friendliest Mouse, and Best Trick Mouse), thereby having a better chance at a ribbon or trophy. At the pet shows, there are awards for each class in both the adult and youth divisions. We may also have extra fun classes for the talented fanciers who like to take photos, draw or paint, make mouse or rat 3-D art, or decorate a cage for the Kooky Kontainer contest! Above all, have a good time! Be a good sportsman whether you win or lose! You should “sit in” while your animal is being judged so you will have a better sense as to why your animal placed as it did. Then take your animals home and prepare for the next show!